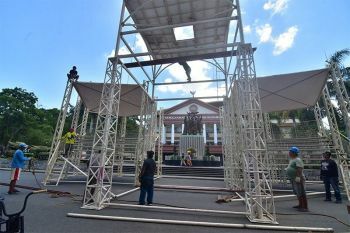 MARTIAL law and code red status from the Commission on Elections still take effect, and a full alert status has been raised again by the police, while stringent security preparations for the observance of the Holy Week are in full swing, police official said over the weekend. 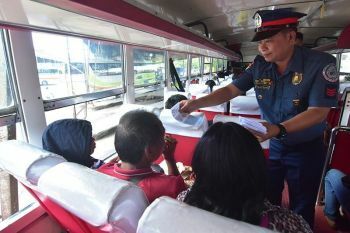 Brigadier General Timoteo Pacleb, Police Regional Office (PRO)-Northern Mindanao director, ordered all unit commanders in the region to strategize deployment of policemen in terminals, airports, seaports, highways, malls, churches and other holiday convergence areas to ensure tranquil observance of the lent. “We will continue to undertake preemptive measures against terrorist attack while keeping our watch against other forms of criminality prevalent during the lent,” Pacleb said. Pacleb also directed policemen on the ground to beef up mobile forces and security inspections along the borders and regional boundaries to safeguard the people in its area of responsibility from the outside threats. “We continue to strengthen our intelligence coordination and monitoring with other government agencies to prevent untoward incident during the holiday,” he added. The top cop of Northern Mindanao has urged the involvement and participation of force multipliers and public safety volunteers from government and non-government organizations to augment the police while they are dispersed in over hundreds of Police Assistance Desks positioned in strategic areas all over the region. PRO-Northern Mindanao spokesperson Surki Sereñas advised the public to refrain from posting their vacation and holiday break plans and daily routine activities on social media. “We should be very cautious because criminals are also active in the social media. They have leveled up to look for likely victims in the internet. Let us deny them the opportunity to commit crime thru responsible use of social media and other social networking sites,” he said. Sereñas also urged the public to report to authorities any incident or suspicious personality or activity. 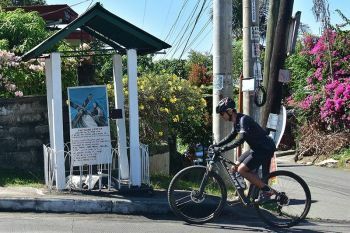 Meanwhile, the Maritime Industry Authority (Marina) in Northern Mindanao is also on heightened alert during Oplan Semana Santa 2019 starting April 8 to 25 at major ports in the region. This is in view of the expected heavy influx of ship passengers to occur in various ports in the region including in port of Cagayan de Oro to include docking areas in Agutayan Island and Opol Beach; ports of Balingoan in Misamis Oriental; Balbagon in Camiguin, docking areas in Yumbing and San Roque; port of Mukas, Lanao del Norte and port of Ozamiz in Misamis Occidental. In coordination with the Philippine Coast Guard (PCG) and Philippine Ports Authority (PPA), Marina Northern Mindanao director Felisa Orongan said they would conduct maritime safety monitoring activities to ensure the safety, security, reliability and comfort of passengers traveling this season. Orongan said monitoring activities would include random inspection onboard passengers’ vessels as directed by the Department of Transportation (DOTr) secretary, per Special Order 041 series of 2019 dated March 27. Under the operation, all the attached agencies under DOTr, will implement safety and security precautions including running 24/7 operations, manning hotlines and passenger help desks in all transport hubs and keeping websites and social media pages active for real-time reporting and information dissemination.